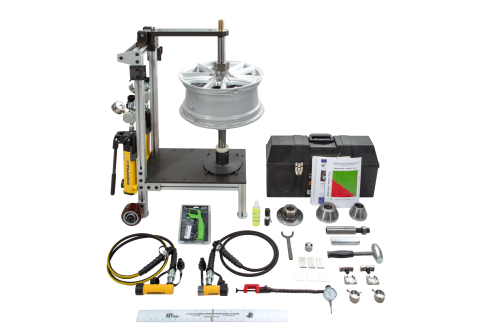 This patented wheel straightening device enables the user to apply repair pressure on the bend site from either a single axis or simultaneously from a second axis. Pressure can be applied at varying angles and can even be adjusted to a secondary plane. This dual axis “massaging” action actually relieves the strain in the damaged area. Recent scientific testing has revealed that a bent wheel will eventually result in a crack at the bend site. The same testing has also proved that a wheel straightened with the patented NewArc™ process will prevent the cracking. No other machine can perform this dual axis, strain relieving massage and it is the only process recognized by the Society of Automotive Engineers (SAE). 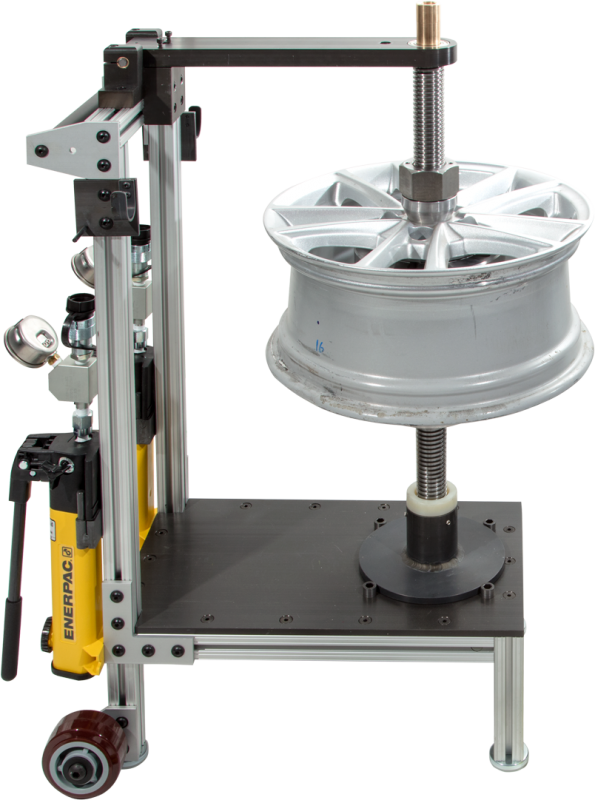 A wheel straightened with the patented NewArc™ machine will pass every safety test required by the SAE for new wheels. Note: Shipping will be included for commercial delivery in the U.S. with dock or forklift access. For residential delivery, lift gate service, or indoor delivery call 734-738-0420 for a shipping quote. Includes Toolbox 2 Frame End Plates & Bar Grip, 2 Ram Mount Brackets, 2 Pump Mount Brackets, 2 Caster Assemblies, 4 Foot Pads & all fastening hardware.